“Whole Life or Term Insurance?” It’s a never-ending debate amongst financial advisors and self-proclaimed experts. Today, we’d like to suggest a third option. Term life insurance allows the insured to afford more coverage for less premium, thus putting greater protection in place, in the form of a death benefit. However, term life insurance policies rarely provide a benefit, because they only provide coverage for a certain period of time and typically expire (like product warranties) before they’re likely to ever be used. Like most other insurances, term life is an “if” insurance, not a “when” insurance. A benefit is paid only IF your house burns down, your car is vandalized, or someone passes away long before expected. Whole life insurance, on the other hand, is a “when” insurance. It is a permanent policy that allows the policyholder to build liquidity in the form of savings while building equity in a life insurance policy that will provide a benefit WHEN the insured passes. Purchased through a mutual insurance company, such policies have a long history of paying dividends, provide tax-advantaged growth, and an option to borrow against the equity in the policy. 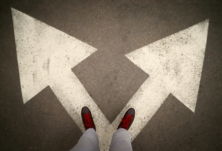 Opinions run strong on this matter, and life insurance shoppers are made to feel they have to choose one option or the other. We’re led to believe it’s an either/or dilemma, but in reality, “both” term and whole life makes sense. But what if we can actually have both in one policy? These questions are designed to make us pick just one. But what if we want both? Surf and turf can be pretty delicious, after all. Life Insurance: Should You Rent or Buy? Sometimes insurance policies are compared to a home that you can either buy or rent. Term insurance is like renting life insurance; you only get to keep it for a certain term, and when that term expires, you no longer have it. With whole life, as soon as you make your first premium payment, you’ve begun the process of “buying” the whole asset. This is similar to the way you purchase a home by making your first mortgage payment. Some people find a home they can “rent to own.” In this arrangement, you, the lessee, would rent the home while securing an option to buy it at a later date. In a lease-to-own agreement, you don’t HAVE to buy it, but you CAN if you choose to. You know you want to buy a home soon, and you’re getting ready. Did you know that you can “rent to own” a life insurance policy, too? These types of policies are known as convertible term life insurance. A convertible term policy gives the insured an option to convert a term policy to a permanent, whole life policy at a later date. A convertible term policy is typically a level term life insurance policy (with a level death benefit for a specific term or length of time, such as $500,000 for 15 years), and all or part of it can be converted within a specified time frame. You can apply for a convertible term policy today, put it into place in 4-8 weeks, and decide later if and when you’d like to convert it to a whole life policy… without having to re-qualify. want to increase your death benefit permanently while keeping premiums low right now. 1. It locks in your insurability. This benefit is of utmost importance, whether you realize it or not! You can only obtain life insurance when you are perceived to be relatively healthy, just as you can only obtain home insurance when your house is not on fire! You also may be able to lock in a better qualifying class than you could obtain later, which lowers your insurance cost. It is not unusual to experience higher blood pressure, blood sugar, or cholesterol levels, etc. as you age. By obtaining a convertible term insurance policy, you guarantee future insurability and keep your options open. Future insurability may be especially important to you if you are healthy now, but there is a family history of diabetes, heart disease, or cancer. However, it can’t be emphasized enough… you have no way of knowing what the future brings, and your insurability can change in a moment. 2. You have to convert within a certain time frame. Typically, convertible term policies can be converted only during a portion of the term, such as the first half of the policy term. For instance, if you own a 10-year convertible term policy, you might have five years to do the conversion. You’ll want to fully understand the time frames of the policy and manage the policy appropriately. 3. You can convert just a portion of the policy to whole life insurance. If you obtain a convertible term policy with a death benefit of $1 million, and wanted to only convert half of it down the road, or convert a portion of it each year, that is typically an option. Keep in mind though, the company may have a minimum amount for a convertible term insurance policy, which could affect your options. If you purchased a $200k policy, and $200k was the company’s minimum amount for convertible term, you could convert a portion to whole life, such as $100k, but you would not be able to keep the remaining amount as a convertible term policy. 4. You want to insure your “Human Life Value,” not conduct a “needs analysis” to determine the optimal amount. Life insurance companies won’t give you insurance in any amount you want. Someone making minimum wage with minimal assets will not be able to obtain $10 million in life insurance; it has to make sense! And there are two common ways to determining how much life insurance you should get. The “needs analysis” method calculates what your family “needs” in order to get by should a breadwinner die. It may consider the amount needed to pay off a mortgage, pay college tuition, or maintain a certain standard of living for a surviving spouse. We prefer measuring “Human Life Value,” which represents a person’s economic value, measured through their earning ability or by their assets. This is the method that insurance companies use to determine the amount of insurance a person can qualify for. Typically, HLV is 15-20 times a person’s income, although it can be up to 30 times for a business owner. When the insured is retired, another way to determine HLV is a measure of gross assets, including debt such as mortgages. We prefer HLV because the needs analysis method typically short-changes heirs and limits the usefulness of life insurance. Since life insurance is the most effective way of passing assets to the next generation and/or funding foundations and charities, plus an efficient financial vehicle for storing cash, wouldn’t you want the maximum amount? 5. Convertible term is a fantastic option if you WANT permanent insurance, but don’t want higher premium payments right now. Convertible term policies are competitively priced. Premiums are only slightly higher than regular term policies for healthy individuals, even though you are putting a potentially permanent death benefit in place. There is even a cost savings when you convert. An amount equal to one year of convertible term premium payments is typically credited towards your new whole life premiums. Too often, people delay obtaining life insurance until it is too late. There are many reasons for this procrastination, but if you are delaying because the type of policy you want isn’t quite within your budget, convertible term may be your solution. Like “steak or lobster?” the question of “whole life or term insurance?” is almost exclusively presented as a false dichotomy. A false dichotomy sets up two apparently opposite choices, and tells us we have to pick one because there’s no way for the two to coexist. Do you save money now (lower premiums for term) or later (by securing level premiums with whole life)? Should you get the maximum death benefit you can afford now (term) or secure a permanent death benefit that will provide a guaranteed benefit later (whole life)? Of course, you can purchase both term and whole life insurance. This can be an excellent option, and one that we often recommend. However, convertible term is the third choice that leaves your options open.